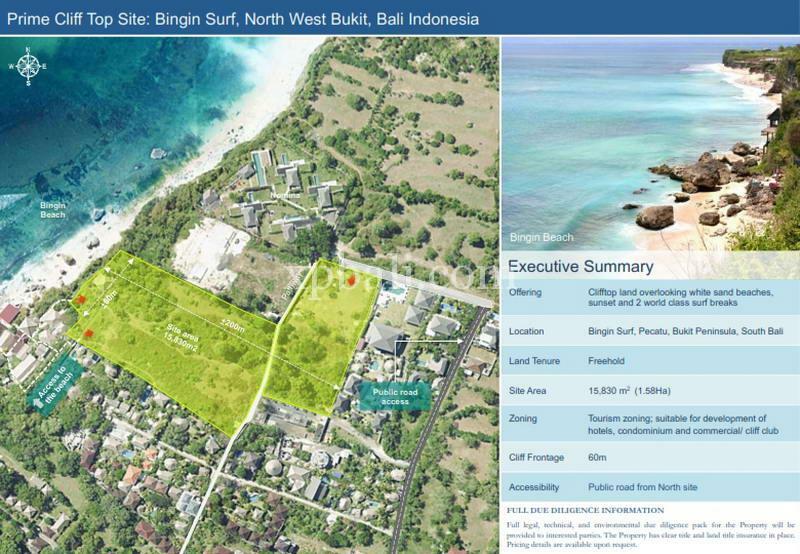 We present a unique investment opportunity to acquire a prime development site of up to 15,830 m2 with 60m of west facing cliff frontage overlooking the world class Bingin Surf break on the West Coast of Bali’s Bukit Peninsula. 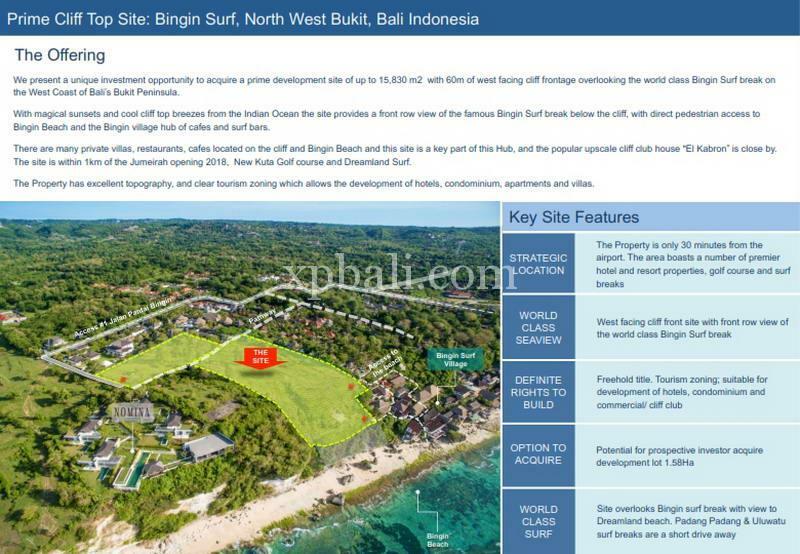 With magical sunsets and cool cliff top breezes from the Indian Ocean the site provides a front row view of the famous Bingin Surf break below the cliff, with direct pedestrian access to Bingin Beach and the Bingin village hub of cafes and surf bars. There are many private villas, restaurants, cafes located on the cliff and Bingin Beach and this site is a key part of this Hub, and the popular upscale cliff club house “El Kabron” is close by. 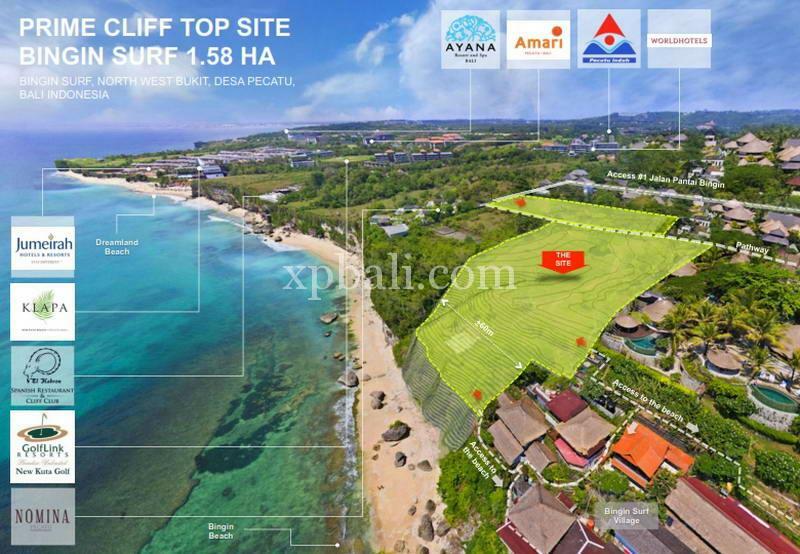 The site is within 1km of the Jumeirah opening 2018, New Kuta Golf course and Dreamland Surf. 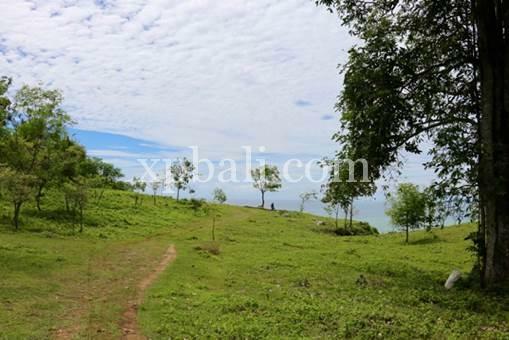 The Property has excellent topography, and clear tourism zoning which allows the development of hotels, condominium, apartments and villas.